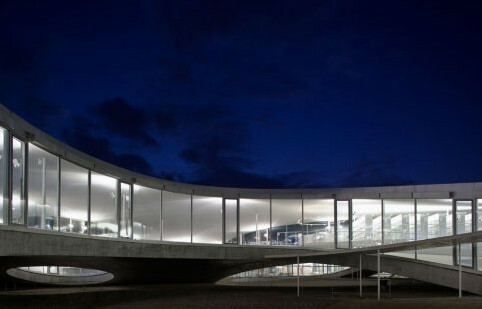 By creating the Rolex Learning Center as a seamless undulating space with no partitions and hardly any walls, the EPFL (Swiss federal institute of technology in Lausanne) wraps form around function. By dispensing with opacity, SANAA architects, Kazuyo Sejima and Ryue Nishizawa create the perfect metaphor for learning, an example of architecture at its best. 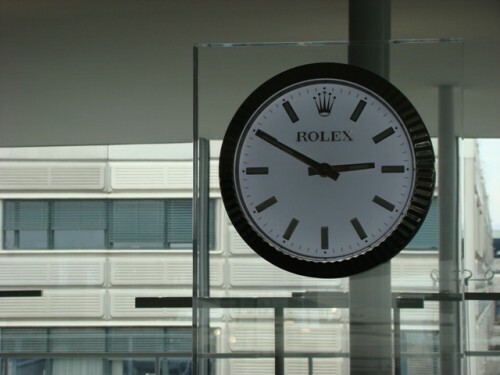 The long-awaited EPFL Rolex Learning Center will open to students and the public on 22 February 2010. Designed by Japanese SANAA ‘starchitects’ Kazuyo Sejima and Ryue Nishizawa the centre abolishes internal physical frontiers and creates a unified space that appears to be floating in mid-air. 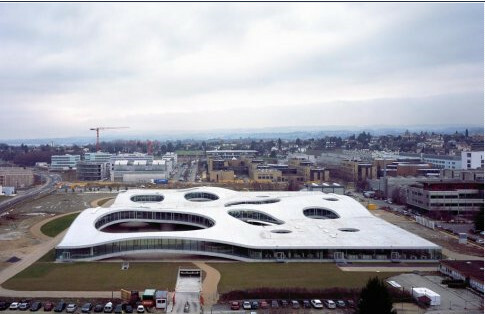 Patrick Aebischer, president of EPFL for the last ten years and who is largely credited for bringing the EPFL to its present level of world recognition, explains that the university needed “a totem, a strong architectural symbol” and that no building is better suited for this purpose than a library. 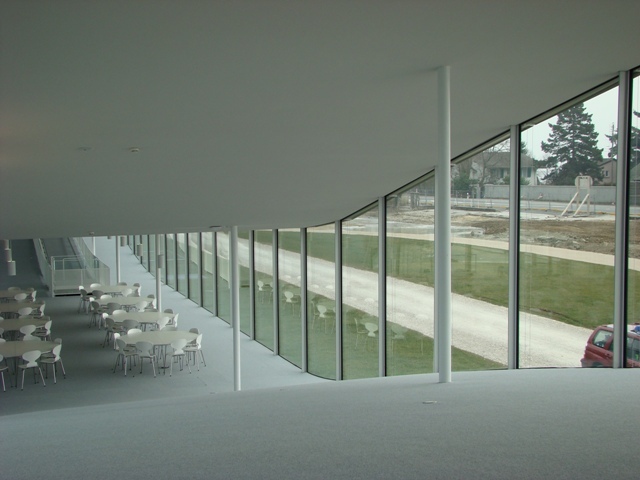 “We wanted a building that exemplifies EPFL’s attitude to science, one that is open to the world, but we also needed a space that contributes to new ways of sharing knowledge” he adds. 12 architects of international repute were invited to take part in the contest for the library, but “the jury was immediately impressed by the SANAA proposal that clearly indicated a will to break down the walls between different fields of learning” indicates Aebischer. This is not the first time that Kazuyo Sejima and Ryue Nishizawa are making world headlines. With the recent inaugurations of the New Museum in New York, a pile of off-cantered cubes and the evanescent Serpentine Pavilion in London, SANAA are the architectural flavour of the day. 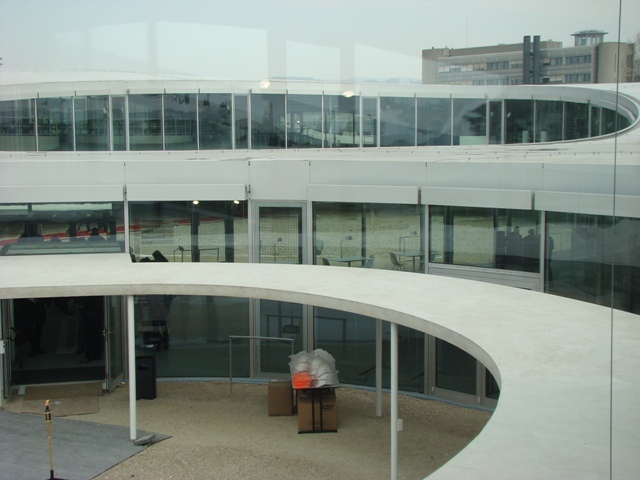 “As the EPFL programme defined a meeting place for students engaged in many fields of study, we felt that everything on one floor and in one room was best” the architects say to explain the Rolex Learning Center concept. Not unlike the symbol of infinity, the building is a continuous loop that merges spaces dedicated to study and research with transitional areas conducive to socializing. Architecture becomes a metaphor for the endless potential of learning. With a floor area of 37.000 square meters, the centre represents the equivalent surface of five soccer pitches but you wouldn’t know it. Sloping ‘hills’, as they are called by the architects, are punctured by fourteen wells of lights, some of them landscaped as outside garden patios at ground level. 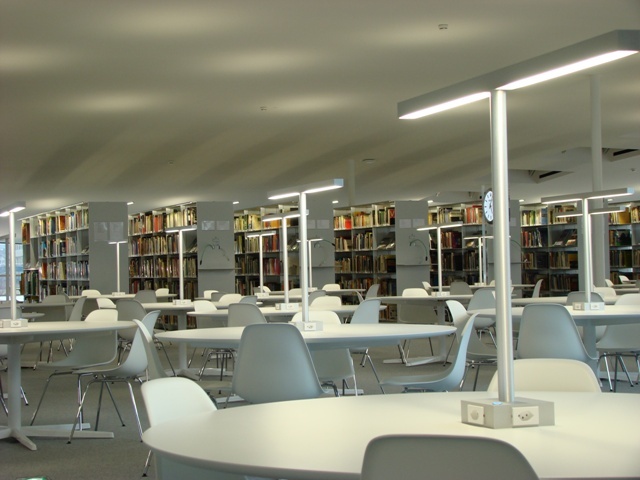 The network of facilities includes one of Europe’s largest science libraries with half a million printed books and access to digital volumes and on-line subscriptions, the CRAFT (Center for Research and Support of Training and its Technologies) laboratory, a career centre, the student and alumni association offices, a 600-place auditorium, two restaurants and a café. ‘Bubbles’ dispersed amongst the spaces offer enclosures for small groups to meet or work together. Built to Minergie standards, the Swiss label that recognizes environmental excellence, the building is bathed in natural daylight and uses an extraordinary system of gentle ventilation that comes up through invisible micro-chimneys in the carpet. Only two areas, the restaurant and library, are equipped with refrigerating ceilings, but even they are cooled by water from the lake. “Science and art are not so far apart in their effort to discover something interesting” believes Nishizawa, joining Aebischer’s credo that creativity is necessary both in science and in art. Kazuyo Sejima may be less vocal during interviews, but the intense feminine charge of the centre carries her imprint. Appointed curator of this year’s edition of the prestigious Venice Architecture Biennale, it will be interesting to see how such a architect with such a strong imagination can expose that of others. “I knew that this building would be beautiful, but it surpasses all my expectations. Today I am a happy man” Patrick Aebischer said at the press opening.